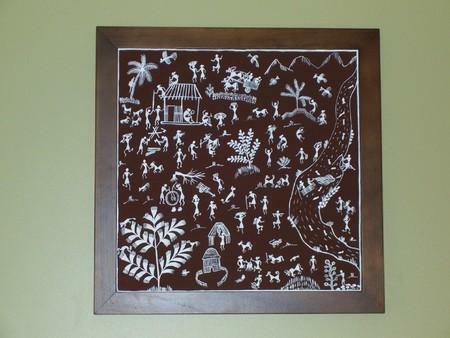 This painting shows details of the daily lives of the simple "Warli" people engaged in fishing, cutting trees to build houses and carrying on with their other daily household duties. Currency Converter ($475.00) Convert USD EUR GBP NZD Loading Sorry, there was a probem with the currency conversion. Please try again.